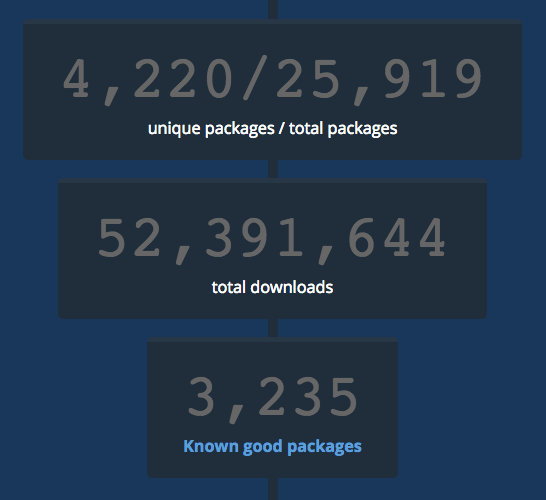 Recently Chocolatey's community repository (this site in the packages section) surpassed 50 million package installs! 50 million! That is a milestone worth a mention. Chocolatey.org has been up for five years this month, we never imagined when we started this that we would have the tremendous response we have seen here. Here's another interesting statistic - did you know there is at least one install of Chocolatey (Chocolatey itself) every second somewhere in the world? 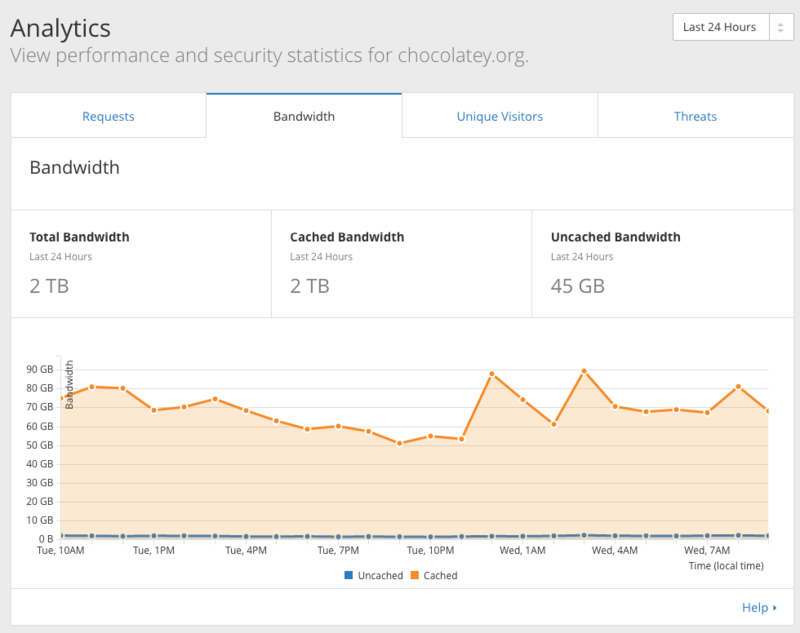 The statistic works out to something like 1.15 installs of Chocolatey per second. 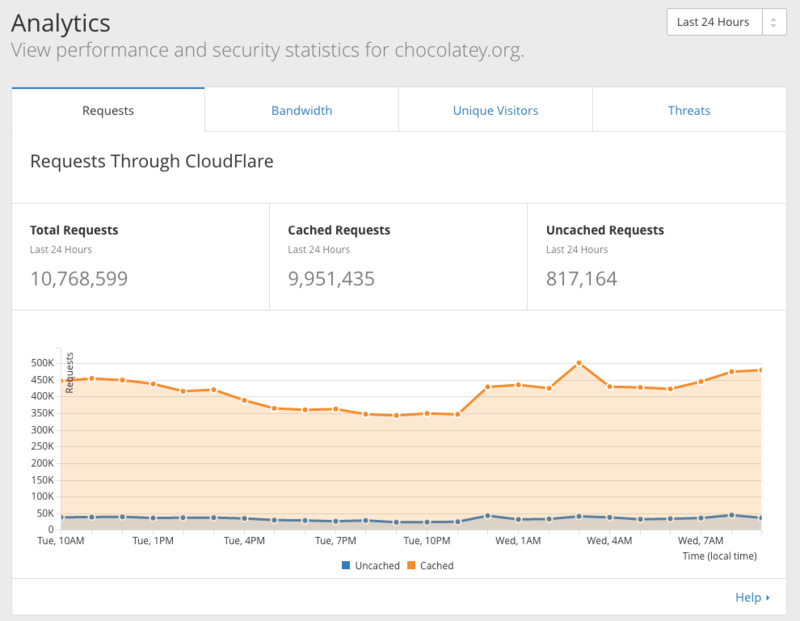 That is an insane uptake and really shows Chocolatey's success. One last statistic and we'll let you get back to Chocolatey - Every day we have nearly 11 million requests per day and transfer around 2TB of data. That's a lot of traffic every 24 hours! All of this is amazing, and it's awesome folks like you that have brought us to this point! Here's to the next 50 million installs, and the next 5 years of sweet packages! Deployed from e27d7a207f. You are on web.2. Page generated 25 Apr 2019 06:56:50 +00:00.